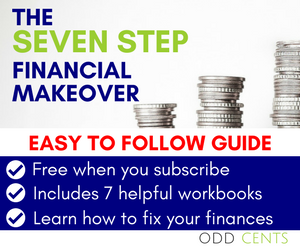 Are you in a crappy financial situation and looking for the best advice on how to build credit? Credit is essentially your ability to purchase or procure goods and services and demonstrates to the vendor that you can be trusted and will pay your debts. Unfortunately, many bad financial decisions can negatively impact your credit score and leave you financially drained and depleted. These recent posts are dedicated to explaining what you should do to improve or build your credit standing. Learn how to build credit with and without your credit card and with your parents’ help. Your ultimate goal should be to take responsibility for your actions and build credit responsibly. The better your credit, the easier it is to qualify for a mortgage, or secure a lease for your next rental. Cozy allows its customers to report their rent payments and build their credit history. It’s possible to establish credit even when you have little or no credit history. You have to start somewhere and there are some simple steps that you can take. It is possible to build your credit score without taking on additional debt or prolonging your debt payments. Strategies include adding rent payment, using an alternative credit score and getting a credit card. I understand that you have big plans. You want to purchase a home, buy your first car, apply for a credit or sign up for your first plans. Building credit the right way can help your plans come to fruition. Find out some of the ways that you can establish credit. Don’t let your bad financial habits derail your plans. Take the time now to build a good score that will benefit you in the long run. The best way to build credit is to not build credit. Dave Ramsay’s advice to a mom of an 18 year old teen is a bit different. Rationale? It’s the best way to become wealthy and take care of your future. Optimise the process of building your credit history and raise your FICO score. Taking out a loan and properly managing your credit can help you to build your credit favourably. If you want to establish a credit history and build a strong credit score, there are a few calculated steps that you can take. But first, you should understand the power of the credit score and its impact on you. There comes a time when your credit will stare you squarely in the face. Either those bad decisions will come back to haunt you or those good decisions will come back to pat you on the back. Your credit is not just important to you. It’s important to lenders, employers, insurance companies, communications companies, landlords and just about anyone who offers credit services. Don’t be confused by the jargon, practices and vicious cycles surrounding credit. Instead, take the right approach to establish your credit and maintain a good credit score. Have you donated to the ongoing hurricane relief efforts? Click here to find out how you can donate and help the Caribbean’s hurricane victims get back on their feet.